The most popular one out of our services. 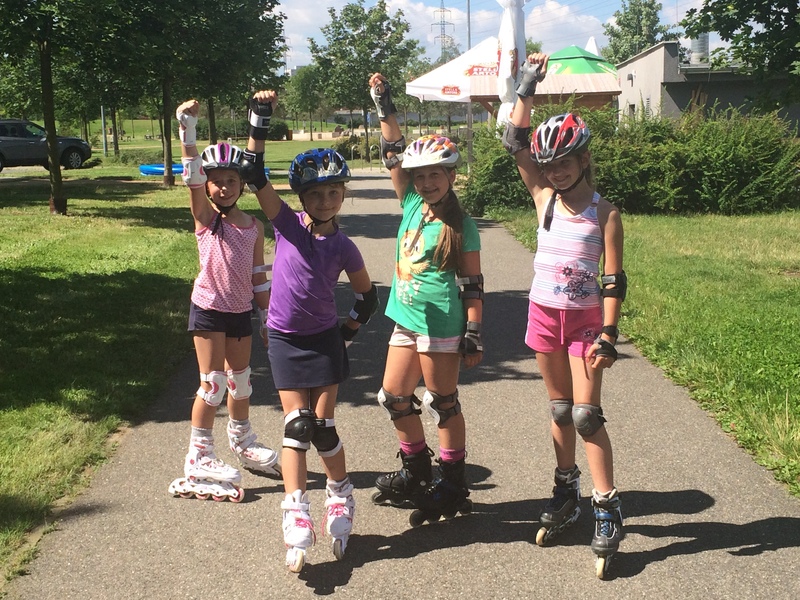 The summer roller skating camp takes place in Prague 11, Chodov and Prague 8, in Dolní Chabry, during summer school holidays. 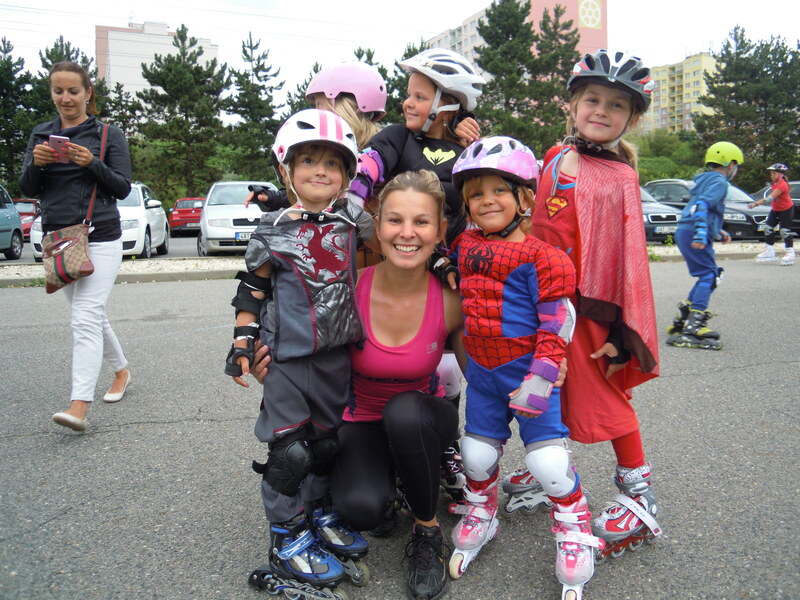 It is developed for children from 4 to 13 years old, beginners and advanced skaters who are divided into teams according to their skating skills. Each camp starts on Monday and ends on Friday. Parents walk their children to the playground at 8am each day and pick them up at 4pm. Teaching is being done in a fun way by professionally trained young trainers, whose main task is to create a positive attitude towards this activity in children. The price includes morning snack, water during the whole day, lunch in the restaurant, roller skating lessons and accident insurance. 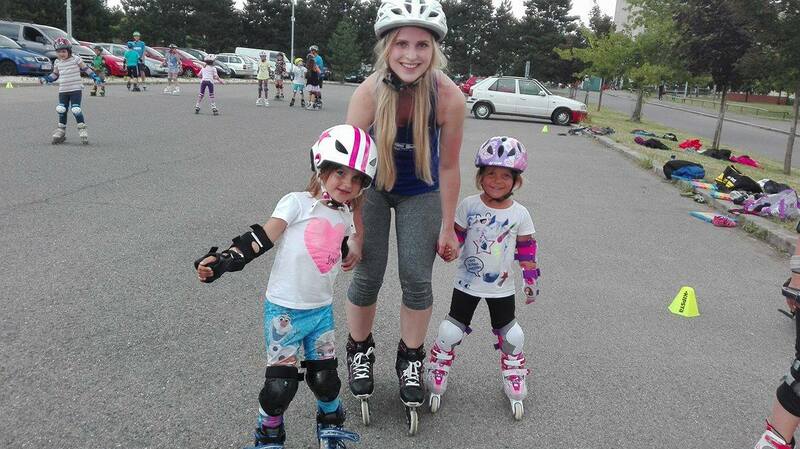 If you do not have your own skating equipment, you can borrow it from us for a weekly fee. 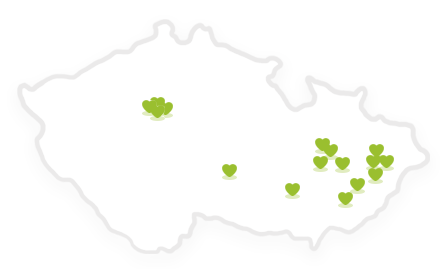 The camps in Prague 11 take place in the area of the VŠCHT and VŠE dormitory. Precisely on the reserved part of Dunovická parking lot. We visit El Mágico restaurant every day for lunch, which is just about 50 meters far away from the parking lot. There is a morning trip on Thursday to Chodovská tvrz. In case of bad weather, we use clubhouse at VŠCHT where we will not be skating. 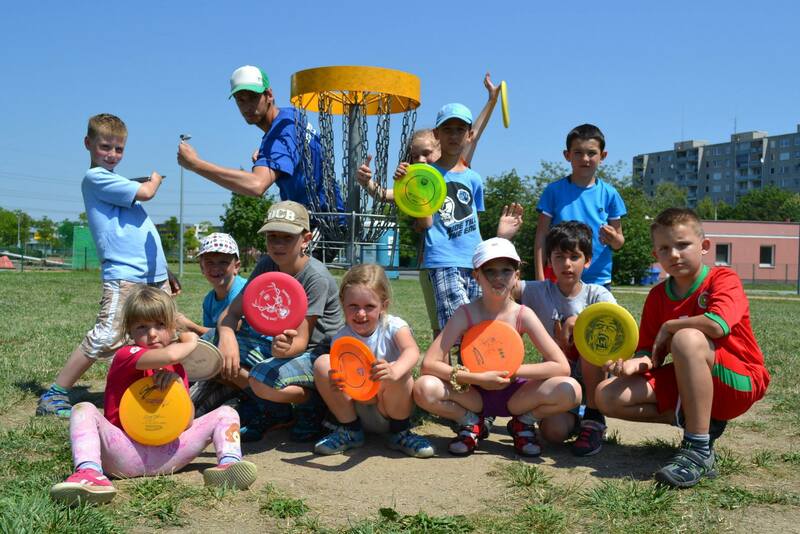 The camps in Prague 8 take place in the area of Elementary School Dolní Chabry. During lunchtime we visit Karel restaurant, which is a few hundred meters far away. 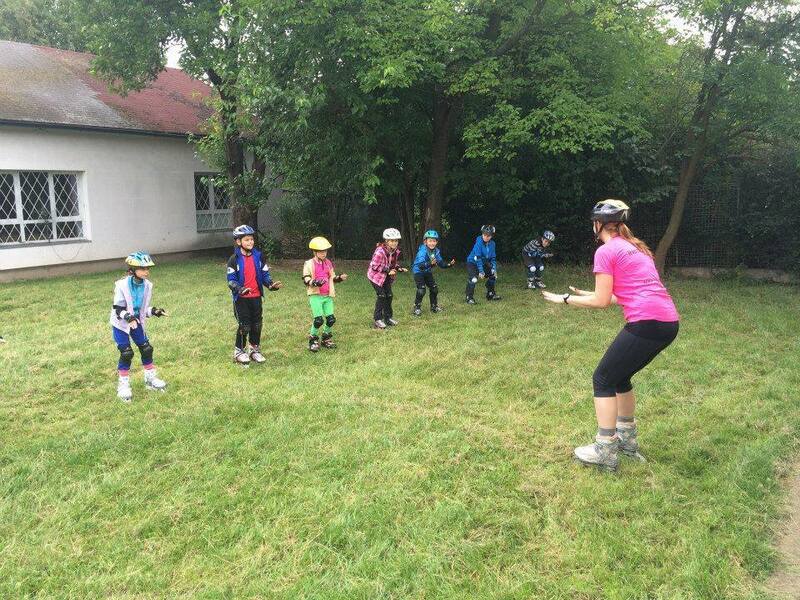 On Thursday, there is always a morning trip to the trail leading around the Troja Zoo. In case of bad weather, we us the school’s gym – where we do not skate. 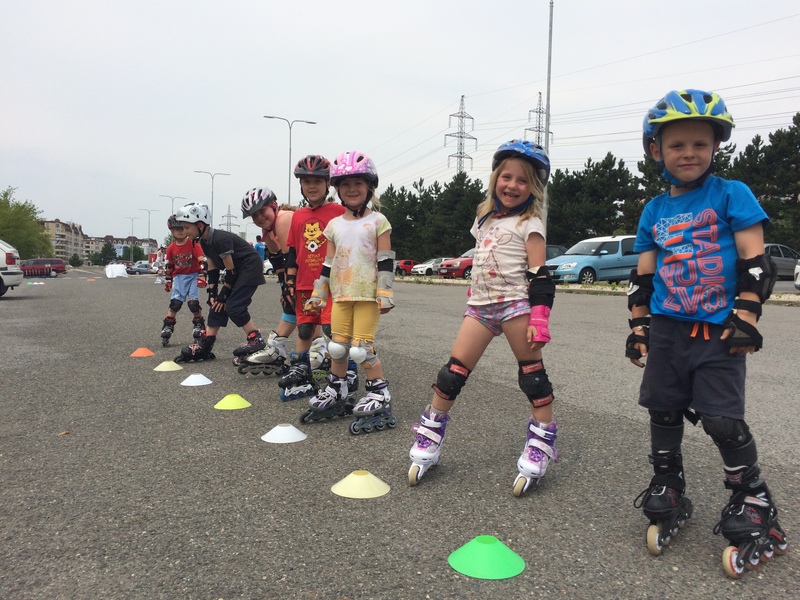 Children are divided into groups on Monday morning according to their level of skating.